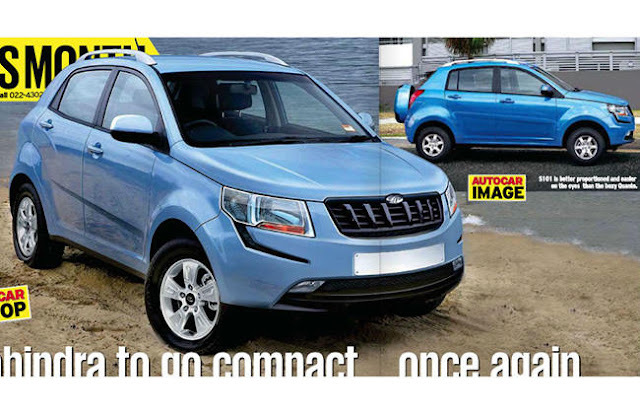 We were the first to provide breaking news regarding new set of SUV's in February 2012, of which the most talked about S101 will be the smallest SUV and is expected to compete with prevailing hatchbacks in the market. Here we are again with complete information on new set of SUV's in India. Mahindra along with SsangYong Motors is now working on a set of six new engines for the Indian market and this will be powered in new set of SUV's which M&M and SsangYong is collaboratively working upon. The total investment that M&M plans to do is $900 million (amounts to 4900 Crore INR). As per the sources, the of these six engines, three would be of Diesel and 3 would be of Petrol. Below are the details of these new SUV's and new engines. 6 new engines to be developed collaboratively by M&M and SsangYong. This would go in new set of SUV's - S101, S102, B100 and X100. S101 will be the compact SUV powered by 3 cyl. 1.2L petrol and 1.2L diesel engine. S102 would be powered by bigger 4 cyl. 1.5L engine. X100 would again be powered 4 cyl. 1.6L gasoline and 1.6L diesel engine. B100 could be a smaller engine - probably 1.0L 3 cylinder gasoline engine. Expect them to be launched in India by 2015 to 2017.